IN DAYLIGHT PHOTOGRAPHY, THE DEFAULT ACTION TENDS TO BE TO SHOW EVERYTHING. Shadows in day scenes are a kind of negative reference to the illuminated objects in the frame, but it is those objects, and not the darkness, that defines space. In this way shady areas are a kind of decor, an aid to recognition of scale and depth. 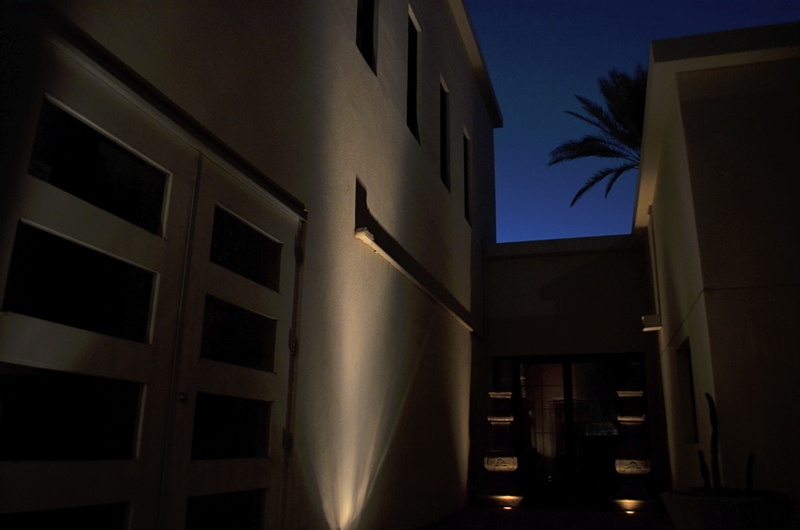 At night, however, the darkness truly plays a defining role, reversing its daylight relationship to light. Dark becomes the stuff that night photos are sculpted from, creating areas that can remain undefined or concealed, giving images a sense of understatement, even mystery. Not only does this create compelling compositions of things that are less than fascinating in the daytime, it allows you to play “light director” to selectively decide how much information is provided to the viewer. In some ways, it is a more pro-active way of making a picture. 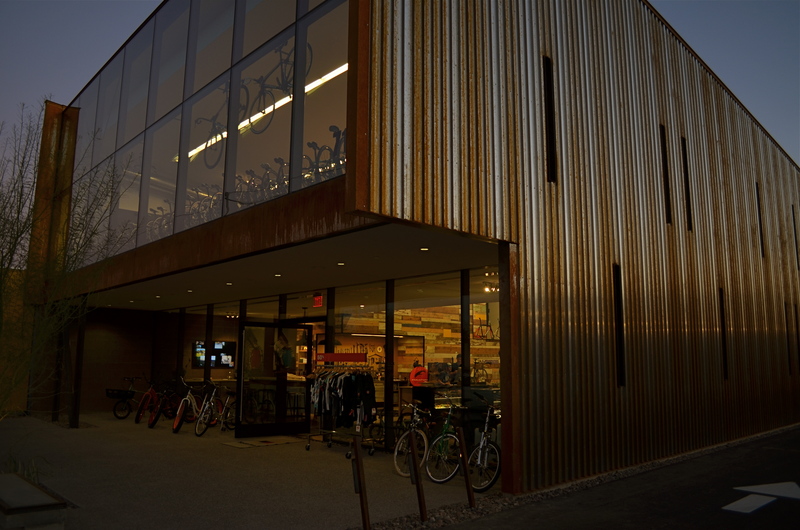 This bike shop took on drastically different qualities as the sun set. 1/40 sec., f/3.5, ISO 100, 18mm. I strongly recommend walkabout shoots that span the complete transition from dusk to post-sunset to absolute night. Not only will the quickly changing quality of light force you to make decisions very much in-the-moment, it allows for a vast variance in the visual power of your subjects that is starkly easy to measure. It’s a great practice lab for shooting completely on manual, and, depending on the speed of your chosen lens (and greater ISO flexibility in recent cameras), makes relatively noise -free, stable handheld shots possible that were unthinkable just a few years ago. One British writer I follow recently remarked, concerning ISO, that “1600 is the new 400”, and he’s very nearly right. So wander around in the dark. The variable results force you to shoot a lot, rethink a lot, and experiment a lot. Even one evening can accelerate your learning curve by weeks. And when darkness is the primary sculptor of a shot, lovely things (wait for the bad pun) can come to light (sorry). This entry was posted on February 20, 2014 by Michael Perkins. It was filed under Available Light, Composition, Exposure, Light, Night Photography, Noise and was tagged with Available Light, Darkness, iso, low light, Shadows, Street Photography.